As we have mentioned before it is not a very good idea to use commercially images found through Google search. And it is much better to search for appropriate images at stock photo agencies. Saying “stock photo agencies” we have meant so called microstocks, where you can buy images just for $1. But it is possible to get stock images for absolutely free in Internet. There are several websites which allow their customers to use images for free. And these websites are legal, not somewhat pirate. So why do you need to pay if you can get the same product for free? To answer this question we have looked through huge number of free stock photo sites. The results are shown below. Typing “free stock photo sites” in Google we get huge number of links. Inspired by this we start to look through all of them. Unfortunately very soon our enthusiasm turns into disappointment. Most of free stock photo sites provide their visitors with very small number of images. It is good if you see about 20.000 — 30.000 images. But in common number of images is much smaller. So to find something that suits your task you'll have to look through many of such free stock photo sites. Comparing this to the number of around 3 million of images at the smallest of microstock agencies we call it at least “confusing”. The second “minus” to mention — usability. These sites are not easy-to-use ones. Thirdly it is important that sometimes there is no legal information of using downloaded content. So you cannot be sure that you have all the rights to use downloaded image in the way you need. And fourth — quality of images is very low almost everywhere. We'll try to explain it in the end. In spite of said above we have found four suitable free stock photo sites. Each of them can be somewhat alternative to microstocks. Here they are: stock.xchng, morgueFile, Photl.com and PhotoXpress. But unfortunately during the writing of this post the last two of found “gems” suddenly have turned into paid stock photo agencies. We guess it was a great surprise not for us only. And if images at Photl.com remain free for non-commercial use the content at PhotoXpress have turned into fully paid model with no free options. So there are only two of free stock photo sites. It is the best free stock photo site in Internet. The main “plus” of it — huge number of 400.000 of free images. Every image at stock.xchng may be used commercially under Royalty Free license. To use images under extended license it is necessary to obtain allowance contacting the author of the image. It is not necessary to have model or property release for images at stock.xchng, so you must carefully deal with it. But we can say that sometimes all of the releases are available. Stock.xchng declines any warranty about legality of its content, so designer will be responsible for all the risks using the downloaded images. 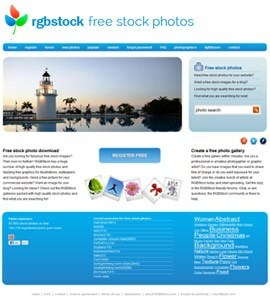 Rgbstock is a relatively new stock photo site with nearly 90,000 totally free stock photos online. The site was set up a few years ago by the former admin team sxc.hu and has grown to a friendly community. The photos can be used for personal an commercial use. They can be used in digital format on websites, blogs, multimedia presentations, broadcast film and video or in printed material. It is a very good result for free stock photo site to have more than quarter of a million images. All images are available under Royalty Free license almost without limitations: you can modify or use commercially these images not naming the author. The only thing that is restricted is publishing photos on a standalone basis. On the other hand almost all the images do not have any releases and legality of the content fully depends of the authors of the images. 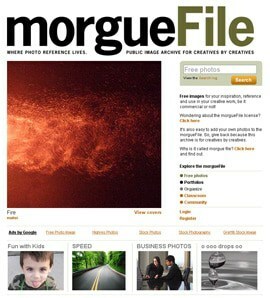 So morgueFile has doubtful legality but it is usual for free stock photo sites. If you do not have money to spend for buying images at microstocks then of course you can use free stock photo sites. But it is important to understand that you risk by legality of images. Besides quality of images at free stock photo sites is much worse than at microstocks. Quality photograph is a product which is often very expensive to make, so it can't be free. If photographer can produce images of high quality he will sell these images at paid stock photo agencies and earn good money. So we can say that free stock photo agencies are good for non-commercial use. But don't consider them as your main source of images for commercial purposes.